OnePlus 6 Q&A: Ask us anything! Our OnePlus 6 review just arrived, and the bottom-line is rather clear - it is quite hard to overlook this device. Although it probably no longer has the very same "flagship killer" mentality interwoven within, the OnePlus 6 is definitely a phone that wants to make a splash. However, there always remain questions that might have been left unanswered in our review or you might just want to learn more about a niche aspect of the device - no matter the reasoning, we now give you the chance to ask us anything you wish to know about the device. That's right, time for yet another Q&A sesh. As usual, do have in mind that we will post our answers to your questions in a follow-up post in a couple of days. Would you consider this phone as your Android daily driver? Please don't ignore these two questions due to their length. The answer to these matter to me very much: 1. 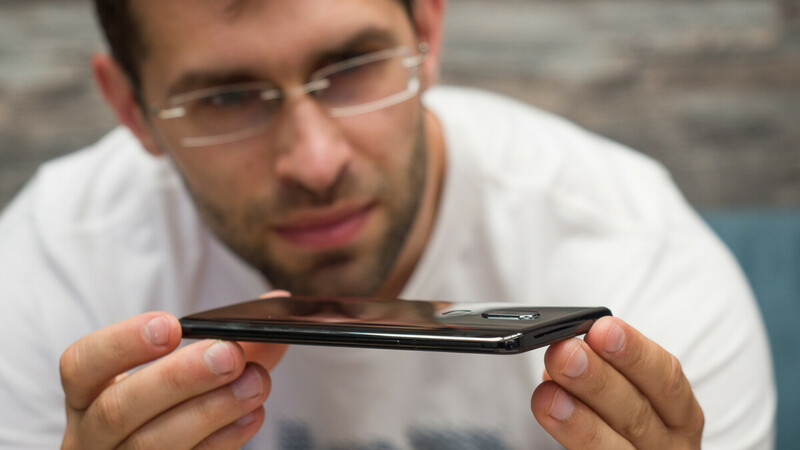 Why don't any of you guys criticise glass-back phones for their brittleness whenever you review them? You all hardly seem to mention how breakable glass phones are and that metal would've been better if wireless charging isn't provided. Make a fuss out of it. 2. Why don't any of your management respond to viewer complains neither on here nor on emails sent to to you guys? Off topic but this question is very important for you to answer. Don't just look at money through ads. See whether your viewers are satisfied too. And fix your gallery view, kindly. It's too frustrating to view on mobile for blind camera comparisons. I’m sure it’s ask questions about the OnePlus 6, not “why don’t you guys do this?”. I figured this is the best current way to get their attention. I guessed you would think if PA doesn't reply any other way maybe writing all this on Q&A instead would get them to answer me. But you were too genius to understand that. Get off it, dude. Get a case. Glass has advantages like signal reception and ease of replacement. I don't want to put a thick case just to protect my phone. And I'm a heavy gamer so that would make my phone dangerously hot. Plus, I don't care much about wireless charging. Want durability instead. But this Oneplus 6 doesn't even have wireless charging. If sites like phonearena made a fuss out of breakable glass backs right from the start.....we would have had some good metal phones left! Right now only the Nokia 7 plus interests me for a buy. Bit that too is overpriced and out of stock. Use oneplus' own case, they protect and don't add bulk. Easy, don't buy phones with glass back. Abd as mentioned above, this is Q&A about the OP6, not about PA's performance. Firstly, there are hardly any great new phones with metal chassis. Secondly, read post no.21. Just one, actually: Do you think the notch is here to stay? 1) What other smartphones compete directly with Oneplus 6? (without the flagships) 2) Why Oneplus keep on raising their base price and is it a good trend for them as a company, your opinion? 3) Is the 1+6 price still justified given it's lack of many features compared to flagships and if yes how so? How do OnePlus phones typically hold up with battery life? Does the phone have stereo speakers on just one bottom firing one? Review states one very loud bottom speaker. How much have you been paid to put a 9? Haha, I bet they won't answer your question. That's unethical for a reviewer to divulge confidential information. Although I'm also curious.. Does the OnePlus have Dual 4G VOLTE? Why does it score 9 when other phones bring more and were rated lower? What nostalgic-features (hardware and software wised) of older OnePlus's devices that make a return on the OnePlus 6? 1. Oxygen OS vs Pixel Launcher 2. Do OnePlus phones have DAC's? 3. How do the camera results compare to the 2018 flagship phones? 4. Do OnePlus devices stay fast year after year? Does It finally have always-listening enabled (for Assistant purposes)? 1) How noticeable the sharpness decrease will be for someone who's been using 2k displays for 2 years? should we worry about the resolution? 2) Does it support HDR video playback in YouTube ?